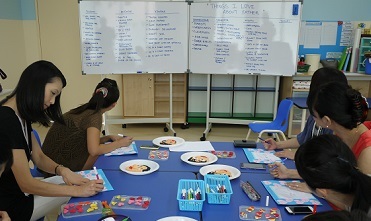 On 29th May and 2nd June, Iroha Kindergarten kicked off its inaugural ESL-for-parents event. As Father's Day is quickly approaching, we decided to discuss things that were special about each of the fathers. 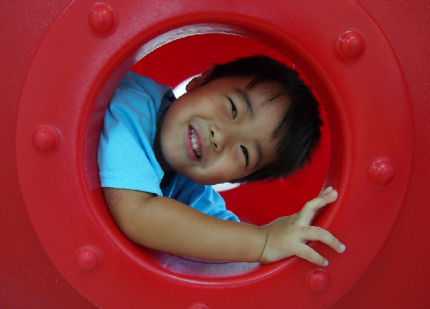 Each mother came up with 10 different qualities that they loved about "Poppa". The mothers came up with many great words and descriptions. Some of the words were familiar (eg, kind, gentle, and smart) whereas others were a little unfamiliar to some (eg, clever, considerate, good sportsman). Everyone took turns explaining what each quality was and why it was special. Then the mothers each made a Father's Day card and wrote down all the lovely qualities that made each of their fathers special. To top things off, mothers made a secret present . Well done to all the mothers and children who attended and helped out. Happy Fathers' Day to all the fathers out there.